The database provides an overview of the Dermestidae (Coleoptera) of the world. Besides some general information the webpage gives information on the systematic classification, a list of all dermestid species and provides a picture gallery. 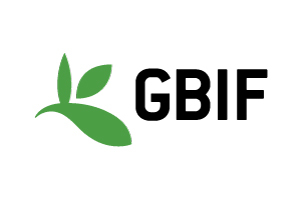 The Global Biodiversity Information Facility (GBIF) is an international open data infrastructure, funded by governments. It allows anyone, anywhere to access data about all types of life on Earth, shared across national boundaries via the Internet. Species 2000 has the objective of enumerating all known species of organisms on Earth (animals, plants, fungi and microbes) as the baseline dataset for studies of global biodiversity. A register of marine species in Europe to facilitate marine biodiversity research and management. A systematic check-list of the Ibero-Balearic metazoans. A complete checklist of the whole Italian fauna, over 57,400 species now online. The Species Dictionary provides a standard reference for names of organisms found in the United Kingdom. Database containing species info and taxonomy of amphibians of the world. A database-driven web site on all living Cephalopods (octopus, squid, cuttlefish and nautilus), photographs, references. Database containing species info and taxonomy of reptiles of the world. A Global Information System on fishes containing species info and taxonomy of fishes of the world.